شما همچنین می توانید به محتوای مقاله های جوملا دسترسی داشته باشید و آن را در موقعیت های ماژول قرار دهید. 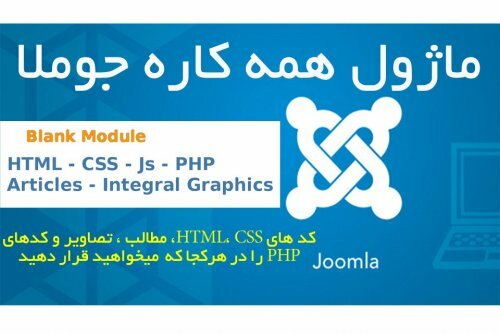 همچنین اسکریپت ها و CSS را به بخش سر صفحه(Head) اضافه کنید. علاوه بر مناطق متن در مدیریت ماژول همه کاره ؛ گزینه های متعددی برای قرار دادن ماژول شما وجود دارد. You can also access Joomla article content and insert it into module positions. Also add scripts and css to the head section of the page. Now available with an integral selection of patterned backgrounds and easy to set graphics. In addition to the text areas in the backend there are also several options to position your module accurately. Module suffix parameter enables CSS styling option.